Finding affordable pens that write well is always satisfying, and this relatively unknown offering provides great value for how it performs. The overall construction of the pen is fairly cheap, but the cost of this pen is only $1.55 on JetPens. The pen is also supposed to have some obscene amount of ink life, which is probably true, but I don't know how much mileage comparable pens are supposed to have, so the marketing doesn't really interest me. At any rate, if you like needlepoints, bold color, and skip-free writing, this pen will work for you. It is easy to recommend trying this one out, and I would have no problem trying out some of the other colors, too. When I looked up other reviews of this pen, I noticed that the comparison of the Mach II to the Pilot Precise V5 was also made by Alberto Lung and The Pen Addict. Check out the reviews below. The drying time for this ink was pretty good considering I wrote the review on Rhodia, which typically takes ink a bit longer to dry on. It is very much worth the wait. Here is what a Platinum Preppy looks like when it has been modded to an eyedropper. It looks pretty cool with all of the ink sloshing around inside, doesn't it? For some reason the paint on the Preppy's nib has started to come off. I don't know how common it is, but it only affects aesthetics and has not altered the performance. All it takes is an o-ring (Goulet Pen Co. or hardware store), silicon grease (I picked mine up at a hardware store), and a preppy that you don't mind converting. Of course you will need a new ink to try. I bet a green would look great in here, too. You can see a tutorial of the cartridge/converter to eyedropper conversion on JetPens. And there you have it. Let me know if you have any questions. The deadline has, unfortunately, passed, and I was not contacted by Linda to claim her prize. Upon redrawing, ThirdeYe is now the new winner. 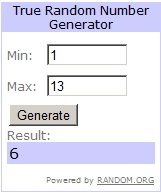 Please e-mail me your mailing address, and I will get the prize out to you! I will be hosting the May edition of the Carnival of Pen, Pencil and Paper, so be sure to get your entries in! Click here to submit your articles, postings, or blogs to the Carnival. The Carnival of Pen, Pencil and Paper was created by Nifty, who runs an excellent blog called Notebook Stories. If you like notebooks - and I'm sure you do - it is a mandatory site to add to your bookmarks/favorites. "The Carnival of Pen, Pencil and Paper is a traveling monthly collection of the best blog posts about notebooks, pens, pencils, paper products and anything else deemed relevant by the editors. The Carnival appears the first Tuesday of every month, starting August 4th, 2009. It will feature product reviews, photos of users’ collections, sketchbook art and doodles, and more! Information about the carnival here and here. If you’re unfamiliar with blog carnivals, they’re a great way to build community and awareness among blogs that share similar subject matter. Bloggers and hosts can get more exposure for their posts, and readers enjoy an edited collection of posts and can discover new blogs they might not be aware of." Here we have the Faber-Castell Perfect Pencil. This is the cheapest of several available models, which includes a boxed set that runs, on average, $250 U.S. While I am starting to get into woodcase pencils as of late, I am not willing to spend that kind of coin on nearly any writing instrument. What's great about the Perfect Pencil is how it allows a woodcase pencil to become a more viable option for Every Day Carry. My favorite woodcase pencils are now more pocket-safe than the Kuru Toga, which would be the ultimate mechanical pencil if it had a retractable tip or a cap for the non-retractable sleeve. I have written to Uniball about the non-retractable sleeve and was informed that they have forwarded my concerns to the marketing and design teams. Here is the crown of the Perfect Pencil. The top pulls out to reveal a pencil sharpener, and the top portion of the crown unscrews from the sharpener, which I believe allows one to replace the sharpener once it gets dull, but I am not positive about this. As you can see here, the Perfect Pencil has a nice sturdy metal clip, and it is not very flexible at all. The pencil point is protected by the Perfect Pencil cap, allowing you to put it in a shirt pocket or pants pocket. It fits nice and snugly around the pencil without being too tight. Once the pencil becomes too short to hold comfortably, you can flip the pencil around and use the Perfect Pencil as a pencil extender. I didn't have any really short pencils lying around to test how comfortable it is as an extender, but the Perfect Pencil seems like it would be comfortable enough to hold in this manner. 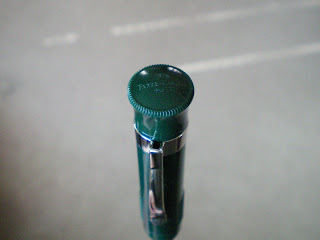 This model also comes with a Faber-Castell 9000 pencil with B (soft) grade graphite. I prefer softer graphite, so this was a bonus to me. I bought my Faber-Castell Perfect Pencil at Wet Paint, in St. Paul, Minnesota (no affiliation). They do have online ordering, and it is now cheaper than when I bought it. If you want to see a comparison of the economy version of the Perfect Pencil compared to the high-end version, you can check out this posting over at Pencil Revolution.